Step 12. Access the Search Server Maintenance page. Step 12a. 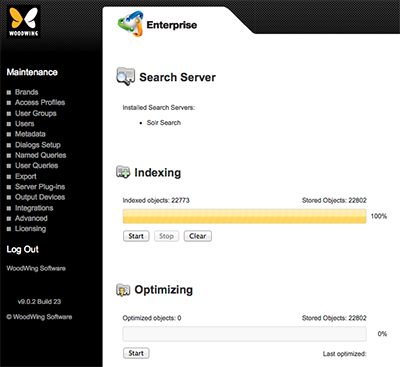 In Enterprise Server, click Integrations in the Maintenance menu or on the Home page. A page with all integrated services appears. Step 12b. Click Search Server. Step 13. In the Indexing section, click Start.